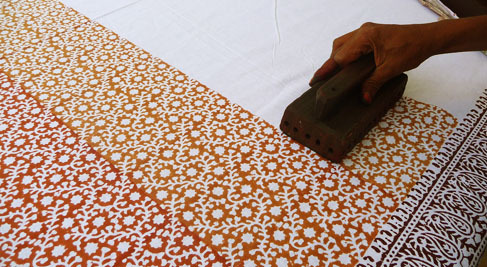 HAND BLOCK PRINTING: This process, though considered by some to be the most artistic, is the easiest, simplest and slowest of all the methods. in this process, a design is drawn upon, or transferred to, a prepared wooden block. A separate block is required for each distinct colour in the design. A blockcutter carves out the wood around the heavier masses first, leaving the finer and more delicate work until the last so as to avoid any risk of injuring it during the cutting of the coarser parts. When finished, the block presents the appearance of flat relief carving, with the design standing out. The bock is then inked and pressed on the fabric to transfer the print. 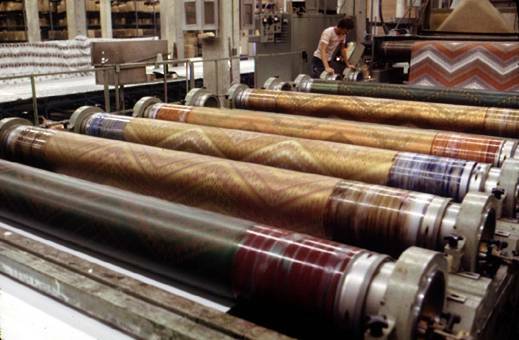 It has high productivity, up to 12000 yard can be printed in 10hours by a single colour machine. 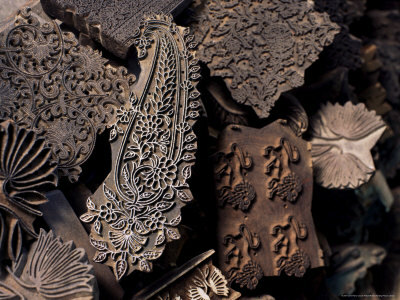 It has the capacity of being applied to the reproduction of every style of design, ranging from the fine delicate lines of copperplate engraving and the small repeats and limited colours of the perrotine to the broadest effects of block printing and to patterns varying in repeat from 1 to 80. The wonderful exactitude with which each portion of an elaborate multicolour pattern can be fitted into its proper place without faulty joints at its points of repetition. STENCILING: The art of stenciling is very old. It has been applied to the decoration of textile fabrics from time immemorial by the Japanese and ,of late years, has found increasing employment in Europe for certain classes of decorative work on woven goods for furnishing purposes. The pattern is cut out of a sheet of stout paper or thin metal with a sharp pointed knife, the uncut portions representing the part that is to be reserved or left uncoloured. The sheet is now laid on the material to be decorated and colour is brushed through its interstices. SCREEN PRINTING: Screen printing is by far the most used technology today. Two types exist: Rotary screen printing and flat bed screen printing. 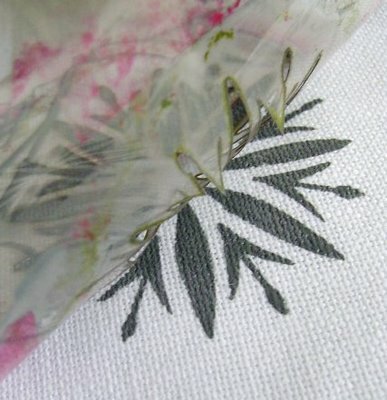 A blade squeezes the printing paste through openings in the screen onto the fabric. 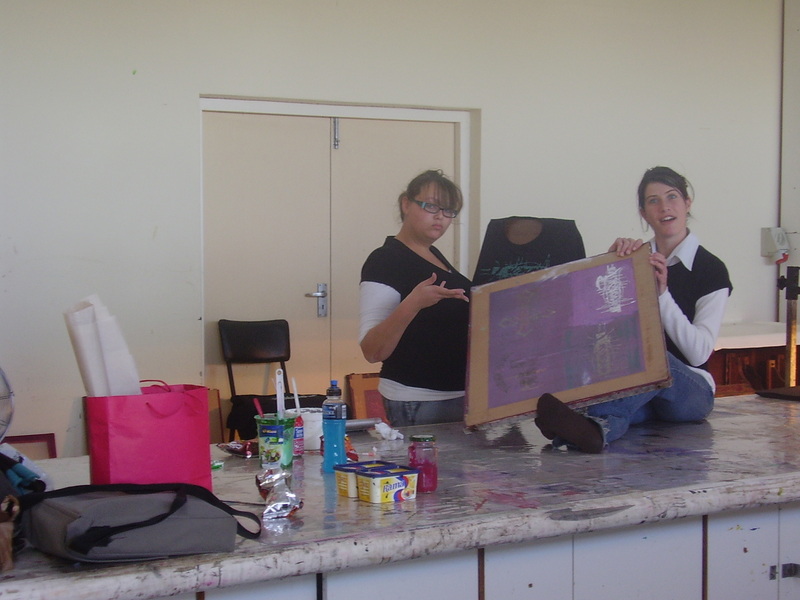 Heres me having some fun doing screen printing! 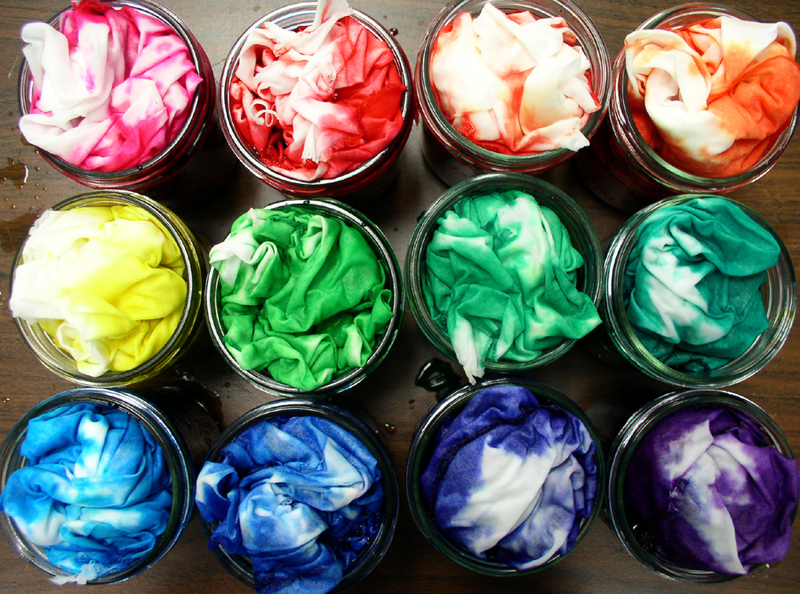 Dyeing is the process of adding color to textile product like fibers, yarns, and fabrics. 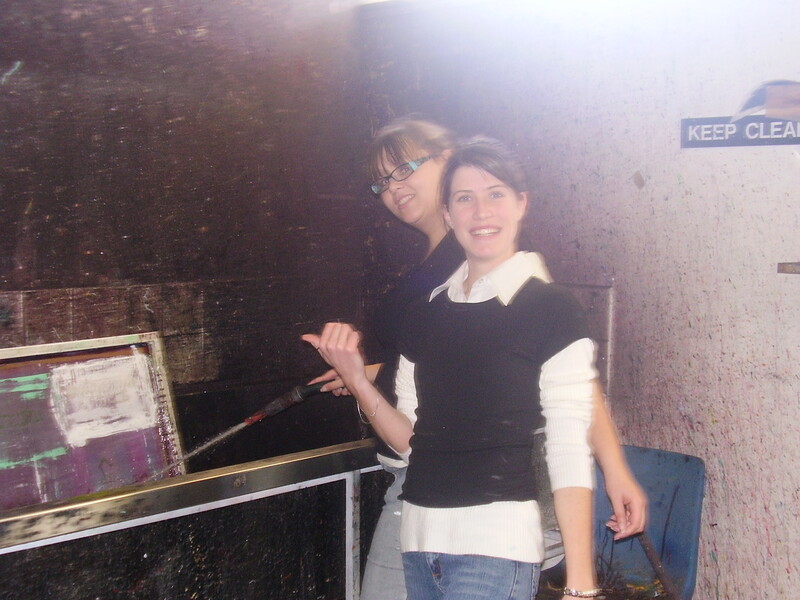 Dyeing is normally done in a special solutions containing dyes and particular chemical material. 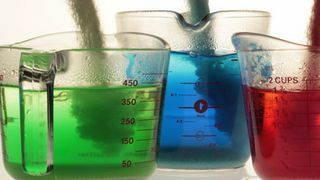 After dyeing, dye molecules have uncut chemical bond with fiber molecules. The temperature and time controlling are two key factors in dyeing. 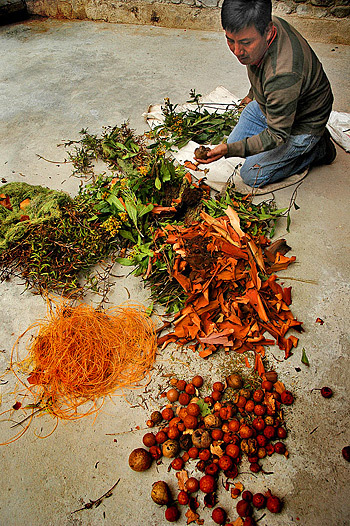 There are mainly two classes of dye, natural and man-made. 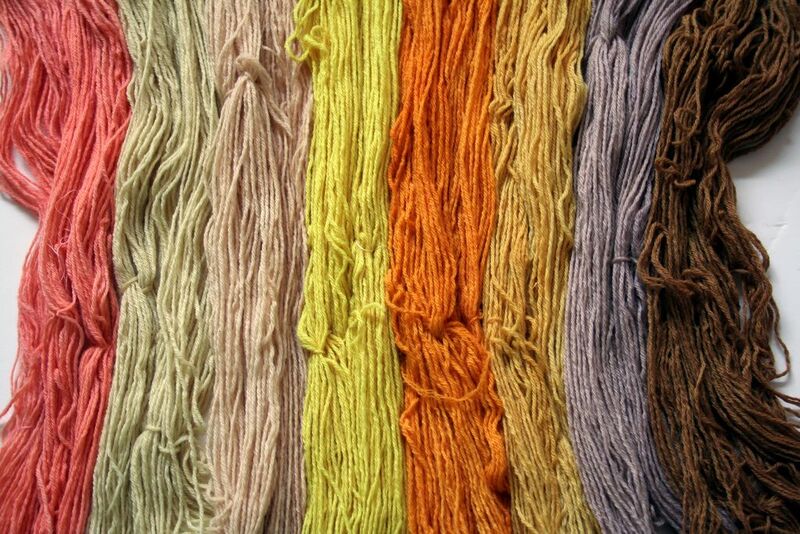 You can apply the dye in 2 methods, either direct application- which is dyeing the material itself or Yarn dyeing- which is dyeing the yarn before it is woven into the material. Previous Designer inspirations for my SKITZO range! Next Fashion trends that never should have happened!! Fashion trends that never should have happened! !